International development banks, UN agencies and intergovernmental organizations have pledged to support the sustainable development of tourism in a network of parks spanning ten countries in West Africa. 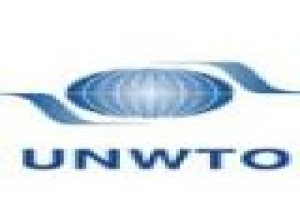 Commitments to the West Africa Parks Project came out of a UNWTO Donor’s Conference held in Dakar, Senegal (27-28 May 2011), chaired by the Prime Minister of Senegal, Souleymane Ndéné Ndiaye, and attended by Ministers of Tourism of West African countries. “Today, major international organizations have pinpointed tourism as one of the most effective tools for Africa’s economic growth and development,” said UNWTO Secretary-General, Taleb Rifai, opening the Conference. “With their support, sustainable tourism can flourish, generating jobs and income for local communities, while protecting the region’s rich biodiversity”. The West Africa Parks Project brings together ten West African countries – Benin, Burkina Faso, Gambia, Guinea, Guinea-Bissau, Mali, Mauritania, Niger, Senegal and Sierra Leone – sharing a network of parks and protected areas, to ensure means for its conservation and jointly promote the region as a tourism destination. Participants at the Donors’ Conference included the African Development Bank (AfDB) and the Islamic Development Bank (IDB); both of which made concrete commitments to the project. The UN Development Programme (UNDP), the UN Educational, Scientific and Cultural Organization (UNESCO), the French Cooperation Agency (Coopération française) and the Korean International Cooperation Agency (KOICA), which funded the initial feasibility study, pledged to support the project through funds and/or technical expertise. Recommendations coming out of the Conference praised the project as a vehicle for “sub-regional economic integration” and called on the governments and managers of the parks and protected areas to involve local communities in its implementation. It was also recommended that private sector participation in developing the common area be strengthened.